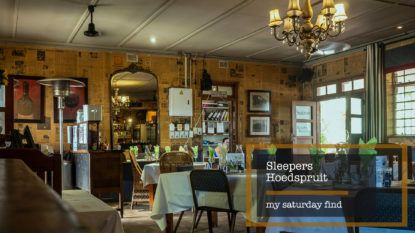 So, as I continue with my goal of trying something interesting each Saturday, this week I’m in the mood for a lunch spot. Not just any spot, something interesting – an experience is what I’m looking for. My Saturday Find continues. See my first post in this series for more on this concept and my thinking. Let me begin by saying that I am not one for eating with my hands. Yip, I’m that chap who eats pizza with a knife and fork. Happy to own that. Also, I’m all about pushing boundaries this year. 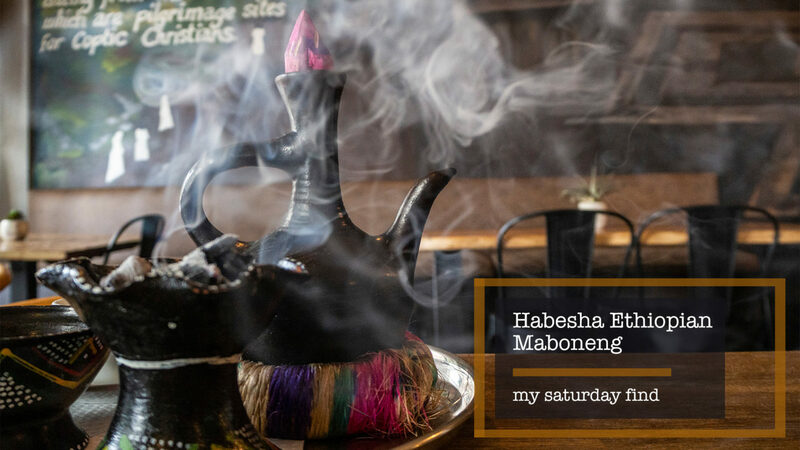 So with that in mind, I headed off to Habesha Ethiopian Cuisine in uber-trendy Maboneng, experience seeking firmly in my sights. I have always thought that Ethiopian people are very attractive, their distinct facial features stand out in a crowd and are instantly recognisable. But as I entered Habesha, I soon learnt that hospitality is indeed their most endearing attribute. 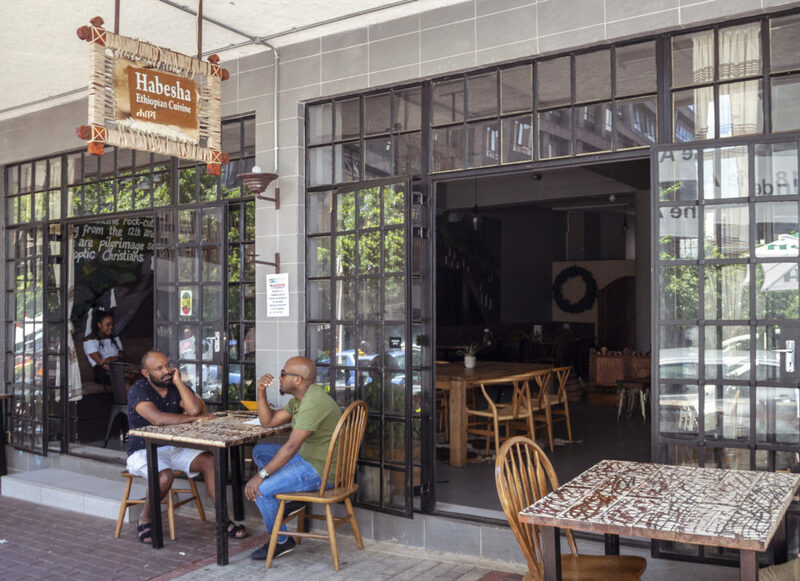 The vibe inside Habesha is social, a place to spend an afternoon with five good friends as you eat your way through a culinary experience as life continues at its usual hectic pace on the streets outside. Managed by Eden Bonger, Habesha opened its doors mid-2017. 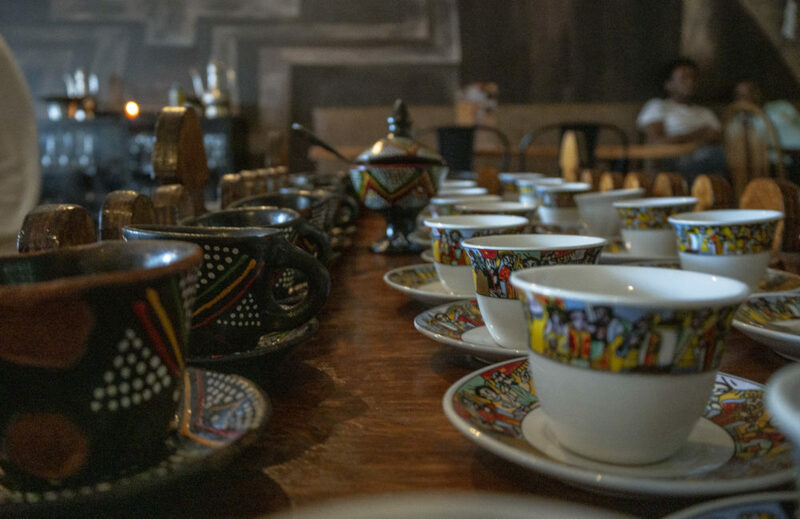 Every aspect of the shop, from decor, utensils and the traditional coffee ceremony are firmly rooted in Ethiopian tradition. 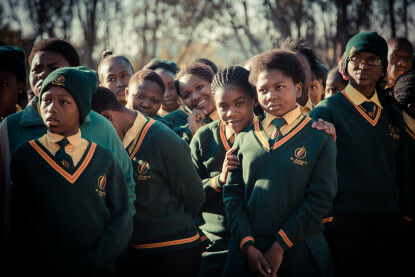 It is quite something to take it all in, but Eden and her team are more than willing to share their culture with you. Perusing the menu with the help of my waitress, I decided to try the Kitfo, a traditional dish made from minced raw beef served with irgo (inkomasi) and mitmita, a rather strong chilli powder. The dish is believed to have originated in the southern region of Ethiopia and is similar to steak tartare. Kitfo relies on a tender cut of meat, which needs to be as fresh as possible. 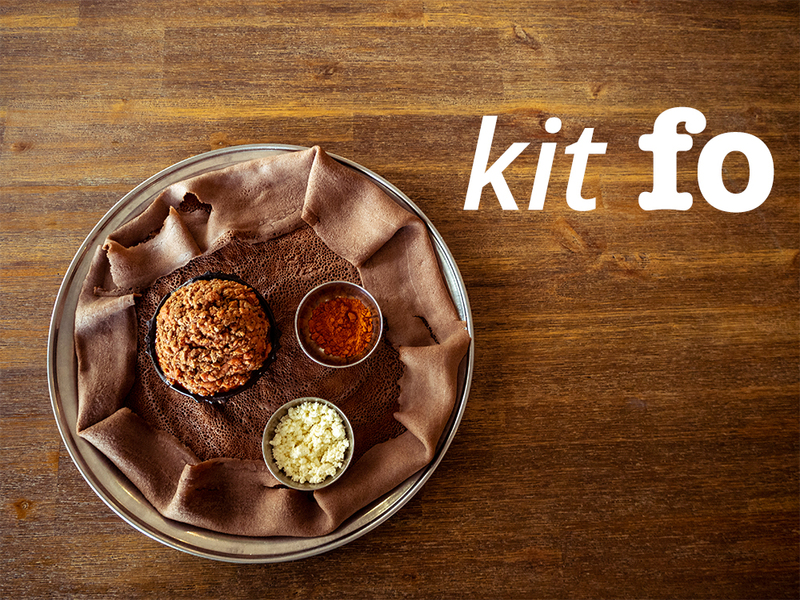 The kitfo comes served on injera, a flatbread made from teff. Bonus, it’s gluten-free. You start the meal by up-ending the minced meat and irgo into the centre of the injera. The mitmita is to be used sparingly, trust me. 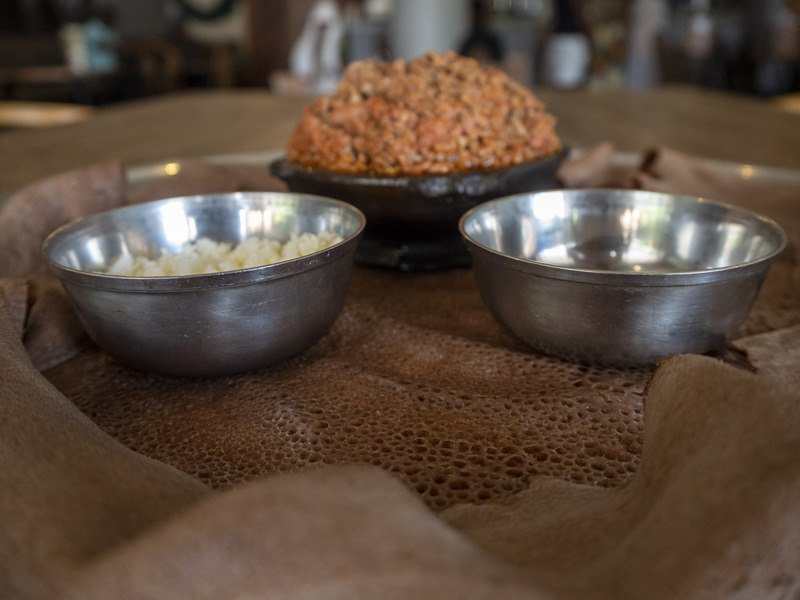 In a traditional Ethiopian home, the father would start by breaking a small piece of the injera and handing it to each person at the meal, which serves as the blessing. You partake of the meal by breaking off a portion of injera, working from the outside, and using that to scoop up the food in the centre. It’s very social and if someone with my issues can eat with my hands, then so can you. After my meal came the traditional coffee ceremony, since Ethiopia is considered the birthplace of this fine daily necessity. And man was it a fine cup of coffee. 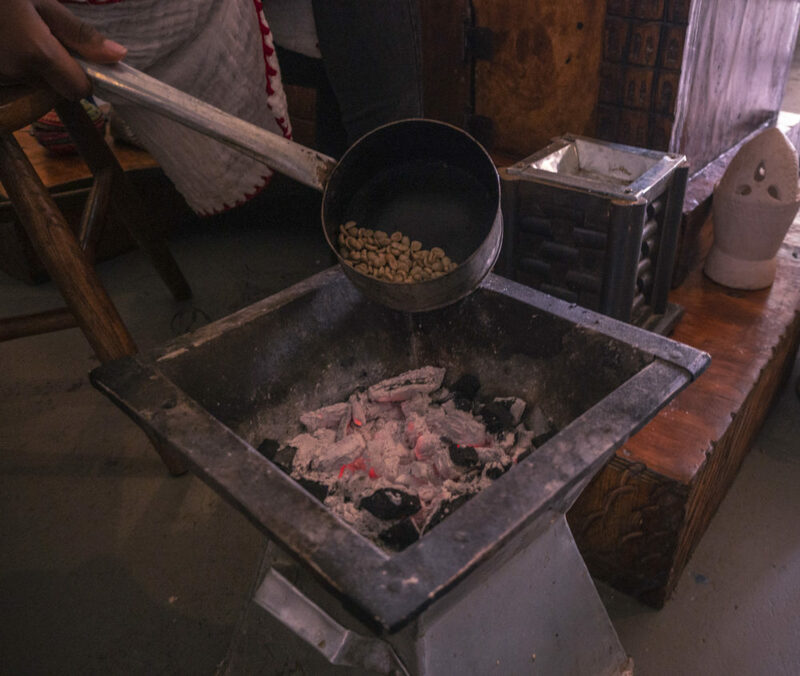 The beans are roasted right there in the shop as part of the ceremony so you are ensured of the freshest cup. Popcorn is also not far away and the two make for a very interesting combination. Habesha Ethiopian Cuisine is open seven days a week from 9:00. 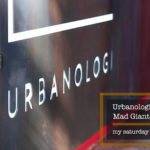 Find them at the Maboneng Lifestyle Centre, 289 Fox Street, Johannesburg. Alternatively hit this Waze link to take you straight there now! Also, find Habesha on Facebook and Instagram. The shop has WiFi for customers should you so desire (although this is really not the reason you go to a spot like Habesha), a cappuccino goes for R25 and they use paper straws. 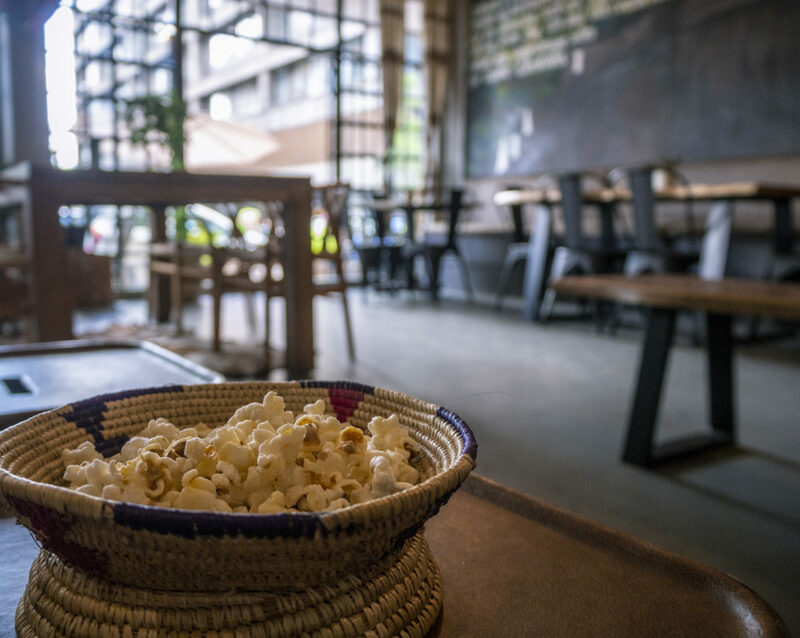 The one thing you have to know when you go to Habesha Ethiopian Cuisine in Maboneng? You eat with hands, so don’t freak out if you are like me. Go with the experience. That, and hospitality. 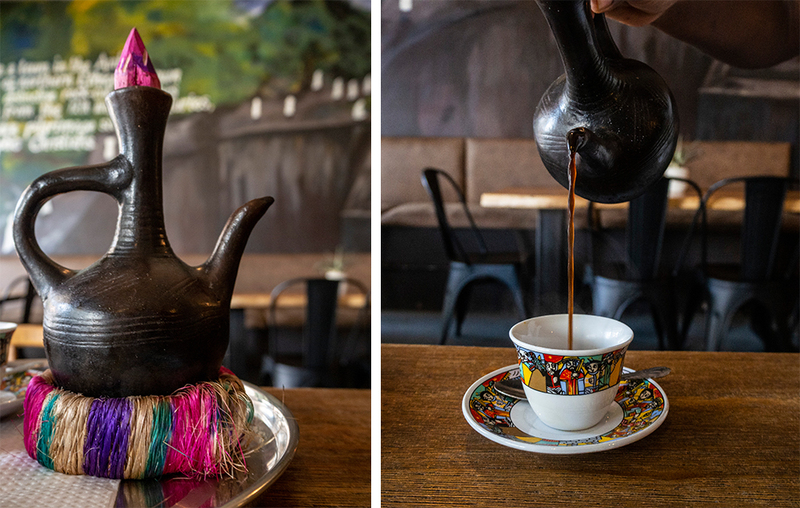 It’s waiting there for you, Ethiopian style! 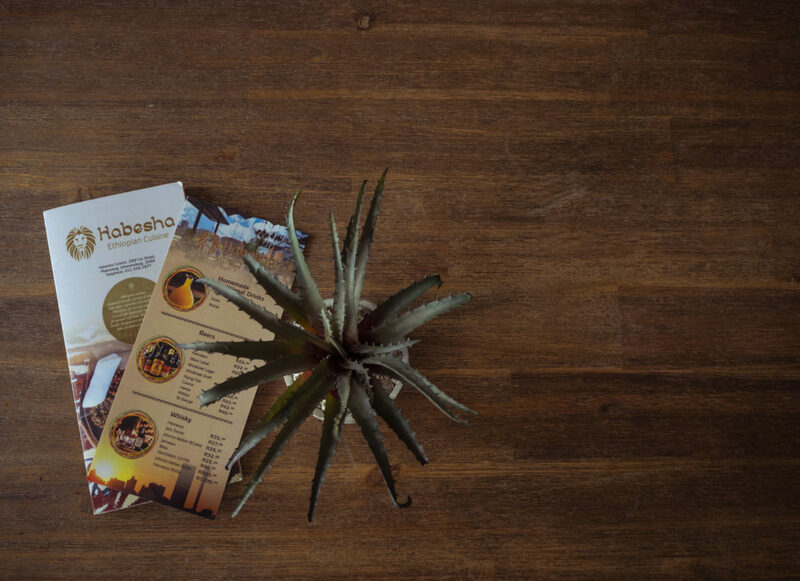 Check out more about Habesha Ethiopian Cuisine on Eat Out and jump onto their app to rate your experience once you have been there. 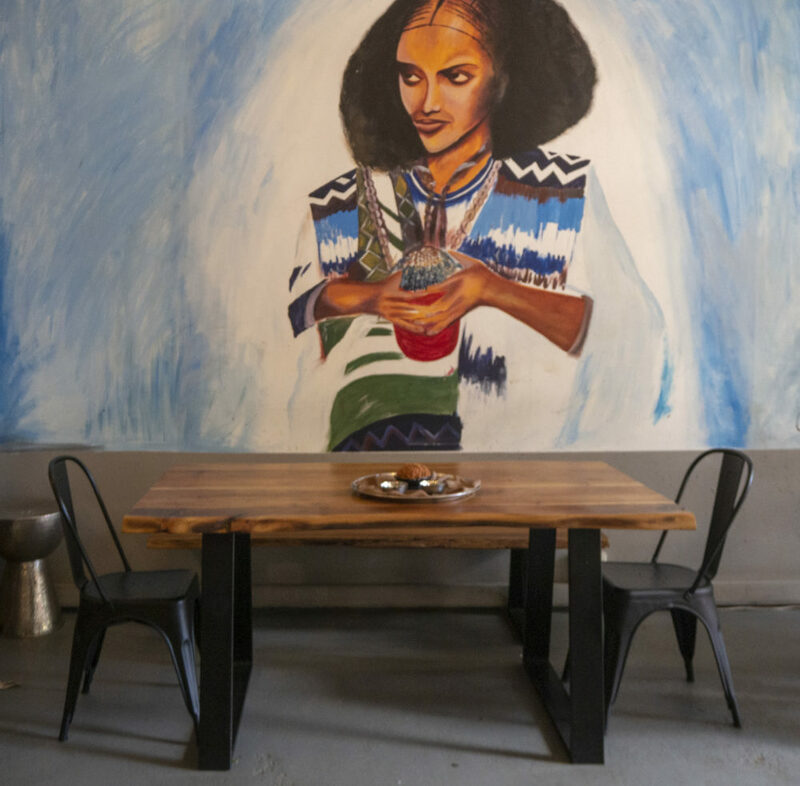 In one word, Habesha is a social space to enjoy a leisurely Saturday lunch with friends. Interestingly it is the third Ethiopian restaurant in the area, clearly Mabonengites are enthusiastic supporters of the cuisine. Grab a table at Habesha and see if you concur! Thank you for the kind words Les, hope you give it a try soon! 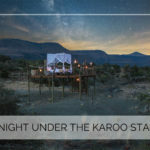 Otherwise, it’s you, Di and I sometime soon! My name is Ryan and I am a work in progress. 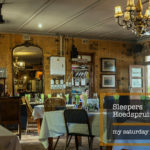 I blog about aspects of life that interest and excite me, those issues that make me think and reflect. 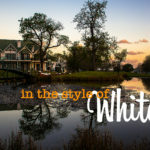 These musings I look forward to sharing with you on the blog, as they happen.